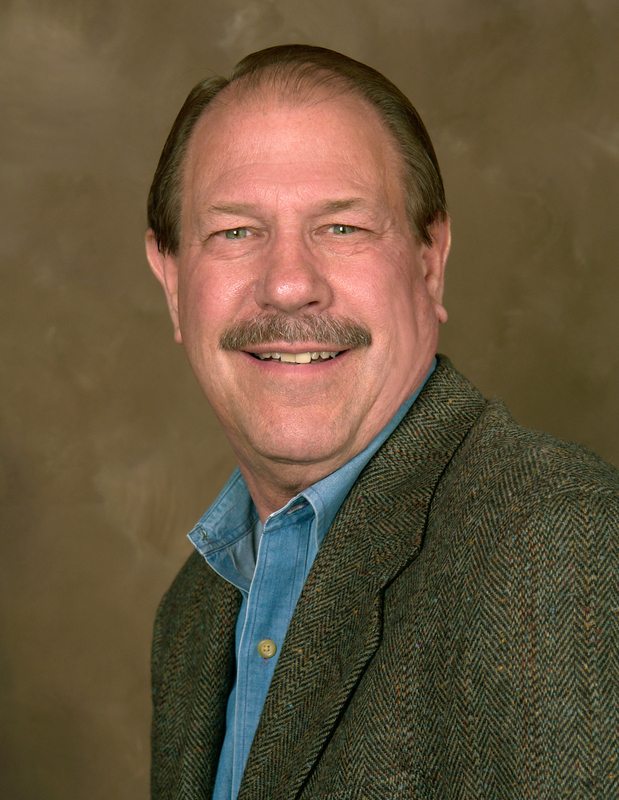 Marc Taggart remembers attending a furniture show in 1989 that changed his life. 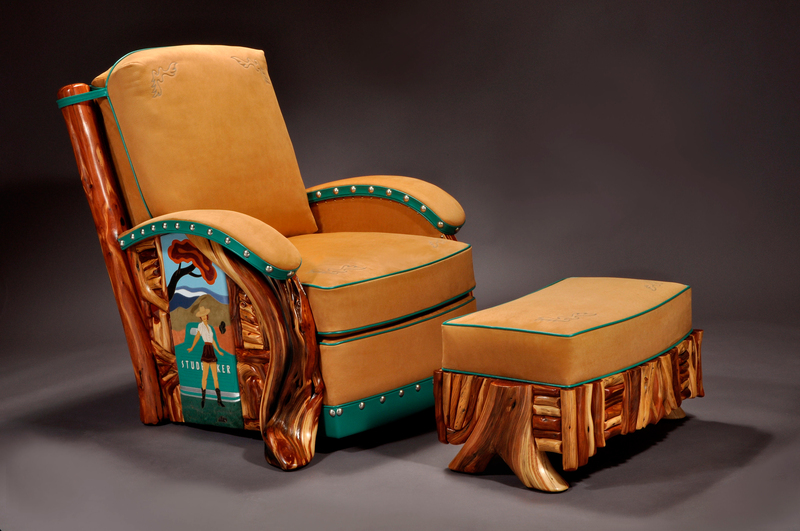 It was titled “Interior West, The Craft and Style of Thomas Molesworth,” and he was taken by the large, sturdy chairs with gnarled burls that sought to create a feeling of whimsy about the American West. He had grown up with this same furniture in his grandparents’ home in Cody, Wyo., where some of his “fondest memories” took place in their living room with the woodsy aroma from the fire and the rich smell of leather. He discovered that this feeling of comfort he felt at their home was in part a product of Thomas Molesworth’s creativity, who designed distinctly Western furniture and interior décor in the 1930s. “I remember being in that house with the warm fire burning, and I’m reminded of some of the best times of my life. It gives me a warm and happy feeling to be around this kind of furniture,” Taggart said. Thomas Molesworth started Shoshone Furniture Company, in 1931 in Cody. His design aesthetic included wood burls, some of which seem to bubble up from the ground, furnishings that were grand in stature, and sturdy armchairs with a variety of side panels. 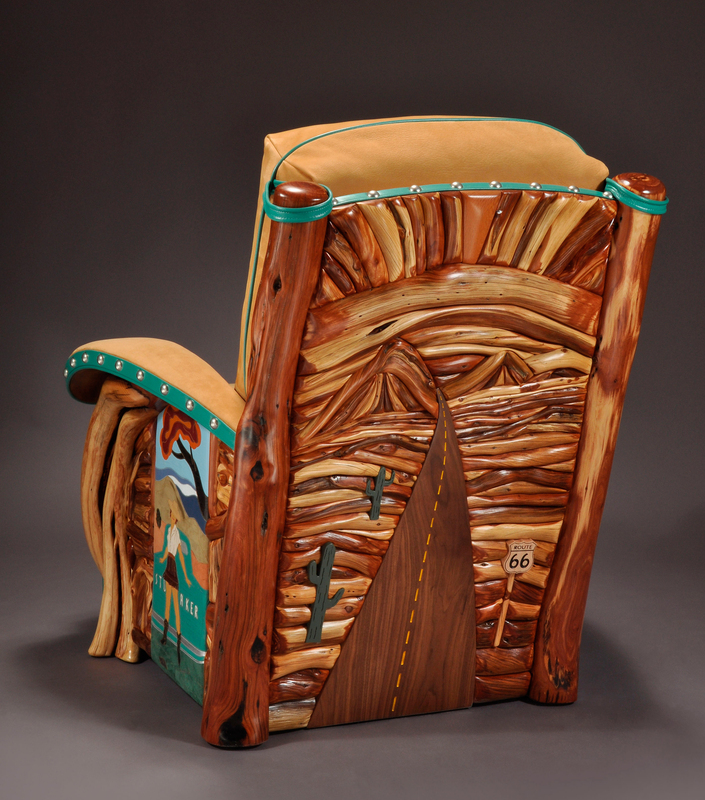 Some pieces included Chimayo weavings on the back of the upholstery and others artwork, like silhouetted images of cowboys, Native Americans and wildlife. There was a thematic element to each piece, and Molesworth’s distinctly Western style lead him to furnish homes as notable as the Rockefeller Ranch in Jackson, Wyo. and Dwight Eisenhower’s home in Gettysburg, Penn. Taggart’s grandparents were some of Molesworth’s first clients in the 1930s. And his father, Lloyd Taggart, became one of Molesworth’s close friends, exchanging around 100 letters during their lifetime. In 1991, 14 years after Molesworth’s death, Lloyd established Sweet Water Ranch in Cody, a company dedicated to restoring original Molesworth furniture and building authentic reproductions. Taggart re-established the family business in 2000, renaming it Marc Taggart & Co.
Today, Taggart provides custom designs in the Molesworth tradition along with restoration and custom accessories. The style of the furniture is the same, but the technology and equipment have improved, for example, Taggart makes chairs more comfortable with inner box springs and ultra down cushions, as opposed to the springs wrapped in cotton, which Molesworth used. In addition, Taggart includes some of his own design elements, such as hand-painted cushions. 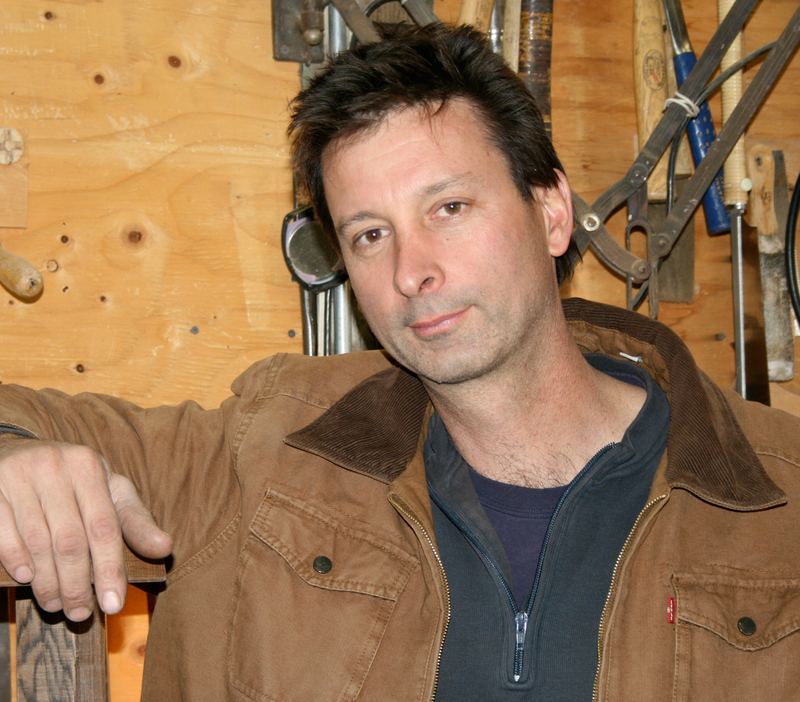 He collaborates with upholsterers in Montana, woodworkers in Wyoming and artists in California to achieve his aesthetic. 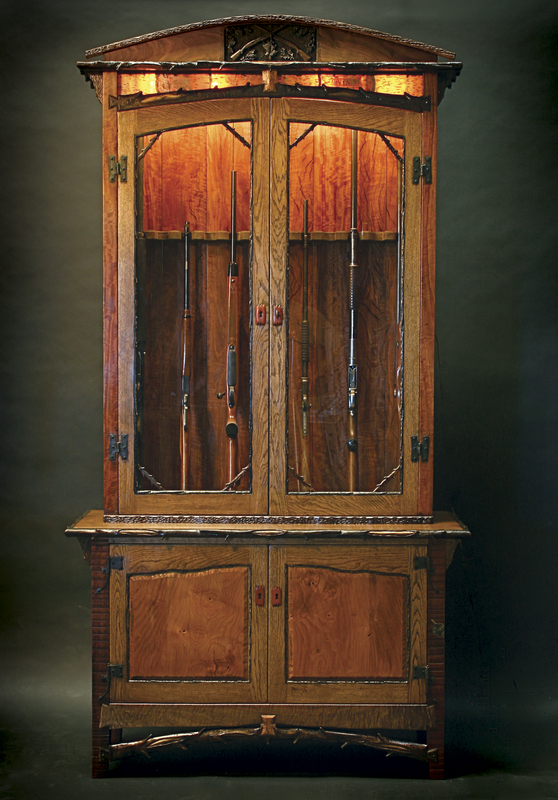 John Gallis pays close attention to every detail created in his refined Western furniture business, Norseman Designs West. His thoroughness stems from a genuine passion for craftsmanship, and he compares his job to riding Harley Davidson motorcycles or taking childhood adventures. 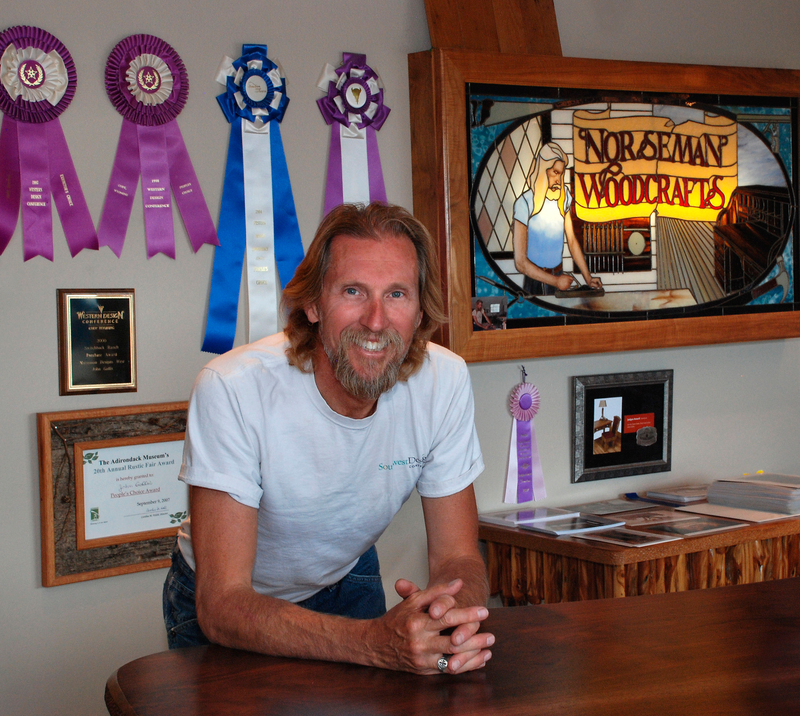 Gallis opened his company in Cody, Wyo., in 1995, and named his shop for the Vikings because he considers them to be the first great woodworkers and craftsmen. Prior to that, he was the chief cabinet maker at Bloomingdales in Manhattan, New York for 14 years and created their specialty interior design pieces. 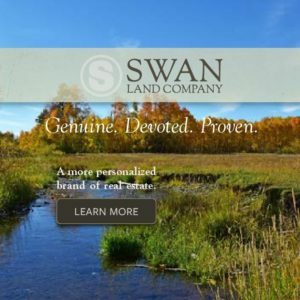 He was known for his ability to “put 10 pounds of potatoes in a five-pound sack,” meaning he would often exceed client expectations when they’d ask for large furniture pieces to accommodate a tiny Manhattan loft.Today, he creates custom furnishings that reflect the Western taste of his clients and that showcase the beauty of the wood. 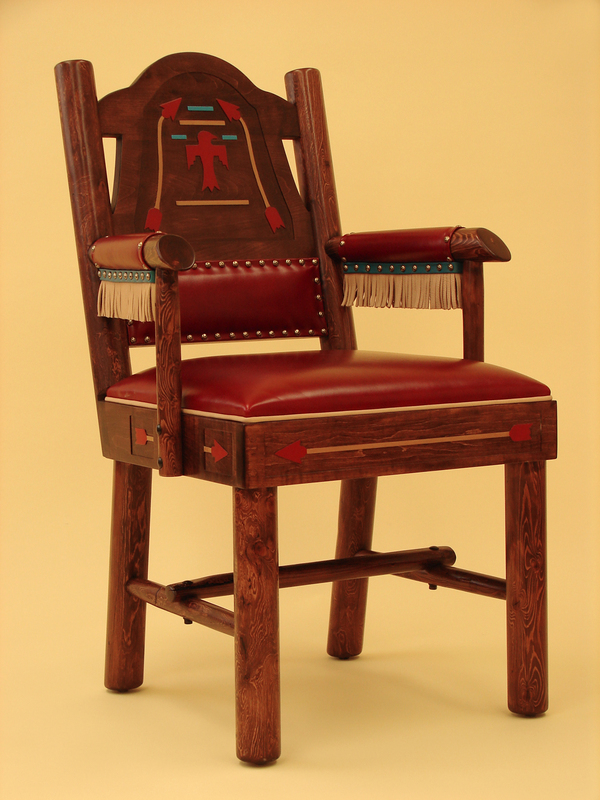 He adds accents like smooth antler handles, brown suede leather, or paintings from renowned sporting artist Tim Tanner from Jackson Hole, Wyo.. He applies that careful attention to detail that is always a mark of true craftsmanship. 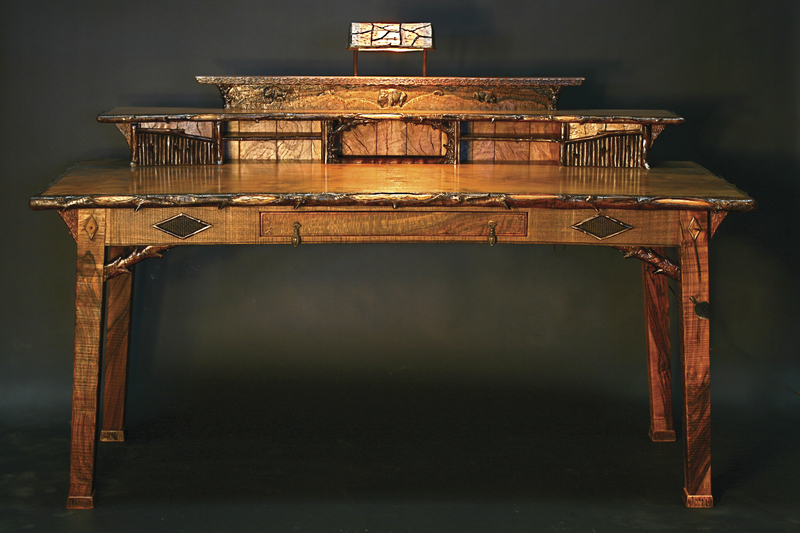 He jokes that the company is probably known as the “desk guys,” for their specialty desks that include petite pieces for women, “where someone could sit and write a love letter,” along with beautifully detailed fly-tying desks for the fishing aficionado. Gallis enjoys making furniture because it’s a personal experience — the feel of the wood as he shapes it into his conceived vision, or walking through the forest to find the right piece of juniper. His other favorite part of the job is working with clients. “I get a lot of inspiration from antiques and, believe it or not, old artifacts that can be used in furniture. I like to use old parts. Those kinds of things really inspire me, but something about the wood does as well, with its patterns, and sizes and shapes. Wood can definitely get your thought process going,” Greenwood said. Similar to using naturally-felled wood, Greenwood enjoys giving found objects and old machinery a second chance. 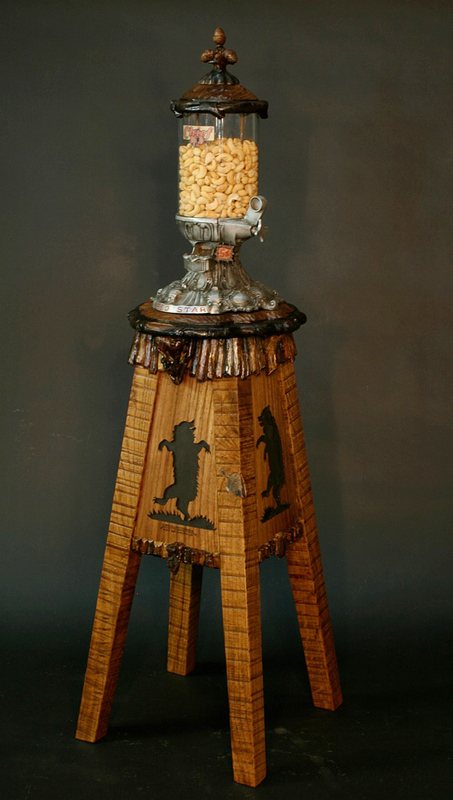 His work is represented by the Trailside Gallery in Jackson Hole, Wyo. ; by Tierney Fine Art in Bozeman, Mont. ; and Montgomery Lee Fine Art in Park City, Utah. 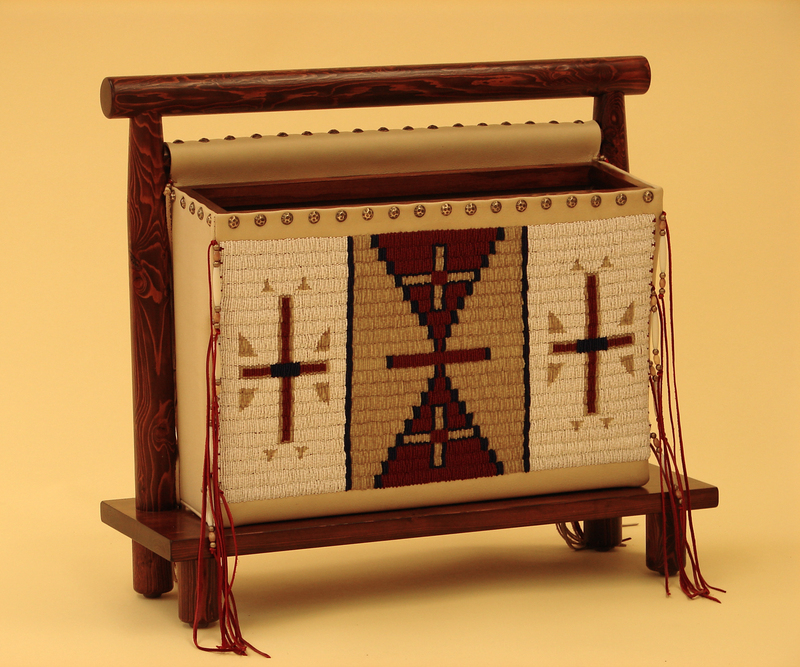 Magazine Rack The beaded magazine rack made in the tradition of Thomas Molesworth is handmade and stitched one bead at a time from 45,000 beads, by artisan Susan Warner. 21″H x 8″D x 21.4″W. Teepee Desk Dresser The gently sloping line of our Teepee Desk Dresser were inspired by the flare of a Plains Indian dwelling. 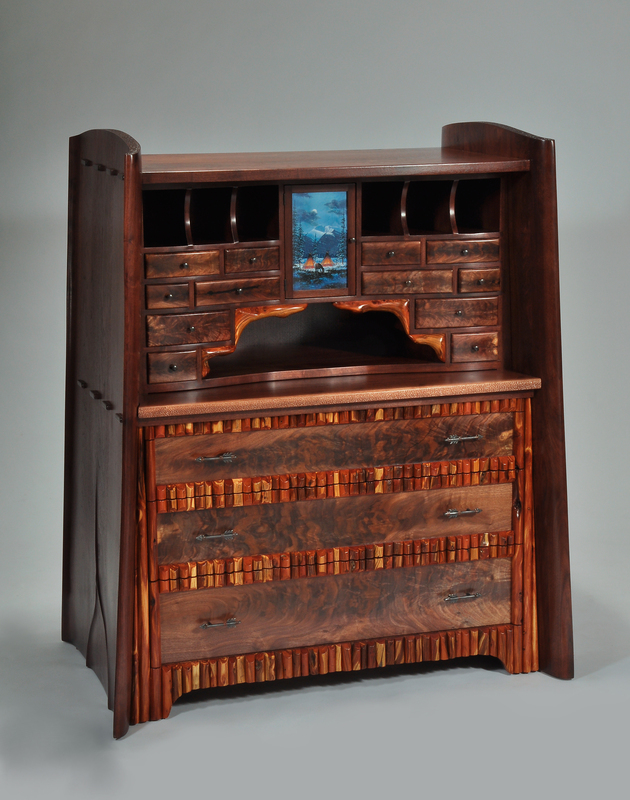 Handcrafted of walnut with juniper trim, the combination secretary desk and dresser continued the Native American Theme with hand-forged arrow pulls and an original painting by Montana artist Guy Rowbury. The piece measured 52″ high x 26 1/2″ deep x 44″ wide. Studebaker Route 66 Club Chair The Studebaker Route 66 Club Chair takes a nostalgic spin down the “Main Street of America” that crossed eight states and three time zones enroute from Chicago to Los Angeles. Thunderbird Chair The improved red leather Thuderbird dining chair designed by Thomas Molesworth and improved by Marc Taggart. 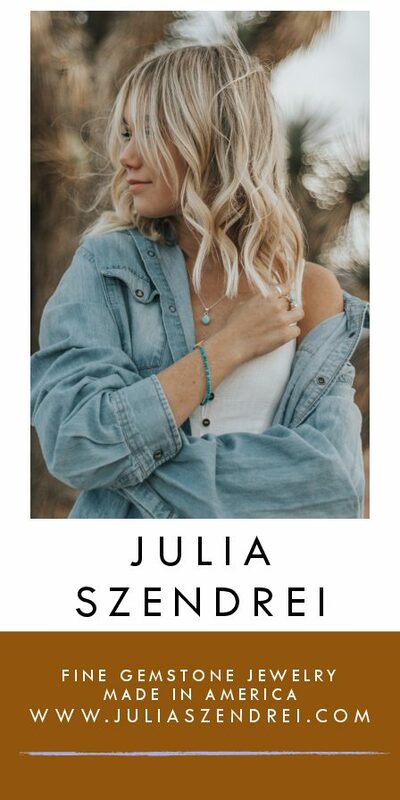 The artwork is routed by hand, hand painted with gold and turquoise paint, and that arms are wrapped with read leather with gold leather fringe with a turquoise leather band. There have only been eight of these chairs made in the last 20 years.